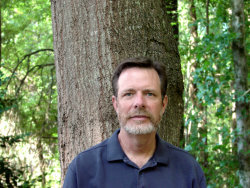 Griffin Saunders | American Forest Management Inc.
±800 acres with ±6,500 feet along the Lynches River in Chesterfield County, SC. Excellent hunting and great timberland investment. Annual income of over $20,000 from pine straw. Surrounded by South Carolina Sandhill State Forest and two timber company tracts. Seven wildlife openings. Property consists of approximately 535 acres of well-stocked planted and natural loblolly and longleaf pine stands of various ages, and approximately 265 acres of well stocked bottomland hardwood stands. Good internal road system and ±4,800 feet of paved road frontage on Old Creek Road. From McBee, SC, take US Hwy 1 south towards Camden, SC. Approximately 4 miles turn right (north) onto Old Creek Road. Property starts on both sides of Old Creek Road approximately 1 mile from the US Hwy 1 intersection. Hi, I'm interested in the Griffin Saunders in Chesterfield County, SC, and I'd like more information. Can you help?